There’s nothing quite like heading out on a motorcycle trip, whether it’s for a short breakfast run or a lengthy cross-country adventure. 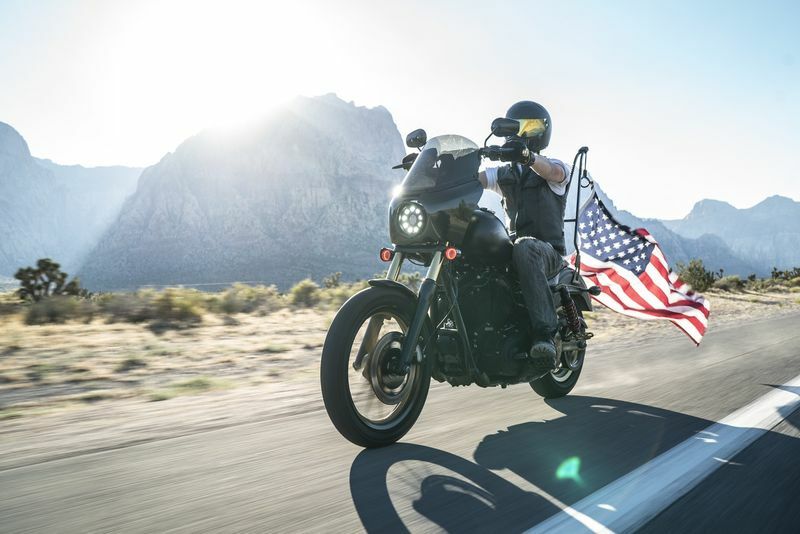 It is increasingly important for riders to use their phones while riding and with the development of new technology, the Bluetooth motorcycle helmet makes it possible for you to stay connected – and safe – everywhere you ride by allowing you to receive phone calls, listen to music, and even communicate with fellow riders over intercom. It's a motorcycle helmet with Bluetooth built in! But which is the Best Bluetooth Motorcycle Helmet? The ease of use offered by a Bluetooth motorcycle helmet with pre-installed Bluetooth hardware built into the framework is beneficial to everyone, from the absolute novice rider to seasoned veterans whether riding solo or in a group. 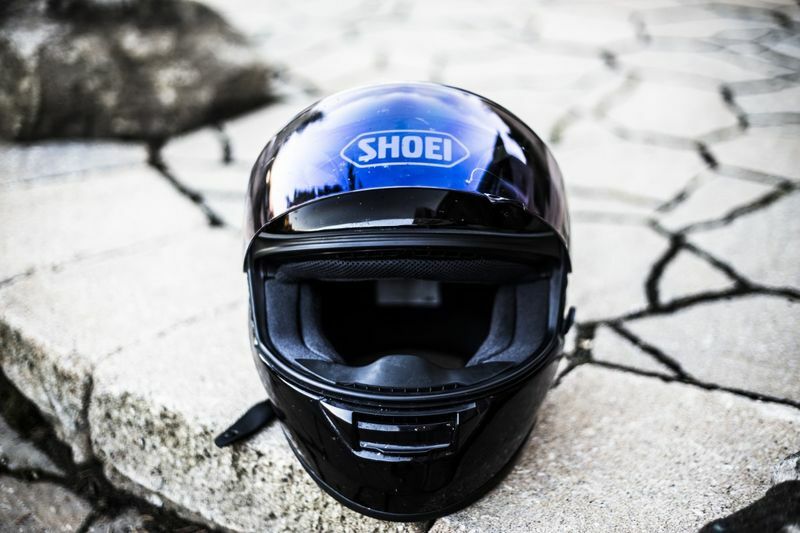 This article will help you select the best Bluetooth motorcycle helmet for your personal preferences by providing guidelines and addressing important points to consider before your purchase, as well as offering suggestions of the best Bluetooth helmet products. When choosing the best Bluetooth motorcycle helmet helmet for your specific requirements, there are a few things to keep in mind. Different brands offer variations of helmets, each with unique features and designs. 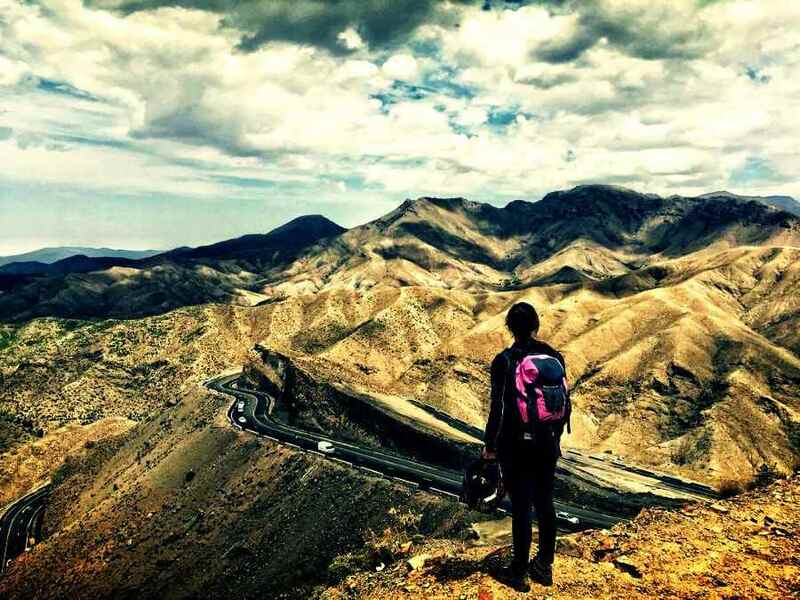 Basic features that come with any motorcycle helmet such as a visor, tough shell, inner padding, and good ventilation remain the foundation of any helmet – Bluetooth motorcycle helmets are no exception. Ensure that any helmet you want to purchase meets safety standards for motorcycle helmets in general. Anti-scratch and anti-fog properties are preferable – remember that pesky morning fog? In order to ensure a safer and well-connected experience when riding with a modular helmet with Bluetooth, both the interior and exterior design of the helmet should be considered. The helmet should be comfortable to wear and of good quality to ensure that the helmet will last without causing malfunction. Look out for features such as waterproof material, which acts to increase a helmet’s durability in all weather conditions. When considering motorcycle helmet with bluetooth built in, the quality of Bluetooth features offered should be studied carefully before making a final purchase. Aspects such as compatibility with phone models and range of distance, as well as noise cancellation properties, are important to consider. Battery life and voice quality at high speed are features that can make a huge difference to the quality of your riding experience with a Bluetooth helmet. The best Bluetooth helmet should include controls that make it easy to adjust volume, shuffle songs easily when listening to music, and answer phone calls without causing disruption to the rider – and without having to remove your gloves or helmet. The motorcycle helmet speakers need to be good quality, and if you are willing to spend a bit more to purchase a higher-end Bluetooth motorcycle helmet, there are models that offer voice control and hands-free features. A Bluetooth motorcycle helmet offers motorcycle riders several benefits that help reduce the danger of communicating on the road, while still offering good protective qualities at a reasonable cost. Bluetooth motorcycle helmets can be paired with the helmets of other riders to facilitate communication while out on the road through the helmet intercom. Finally, a substitution for those hand signals that are often misinterpreted or missed by your fellow riders! When selecting the best Bluetooth motorcycle helmet, you must consider that when paired with a good mobile device that has GPS capabilities, a Bluetooth helmet allows you to navigate easily without looking at your phone for directions. The GPS will guide you with voice instructions that you will be able to hear clearly through your helmet. Bluetooth motorcycle helmets often come with voice command features that allow you to answer the phone call without needing to press a button, think of it as a helmet intercom. Communicating with other riders and accepting phone calls while riding are made easy with hands-free Bluetooth helmets. Well-designed Bluetooth helmets are equipped with bigger control buttons that are suitable for handling while wearing gloves. Bluetooth helmets can be paired with devices to play music from playlists or even to listen to the radio while you ride, which is a great way to listen to traffic updates and plan alternative routes on the go. Most helmets offer accessible controls that allow for effortless volume adjustments and skip-track features. There is some debate over the usage of Bluetooth motorcycle helmets versus Bluetooth headsets that can be attached to a helmet. 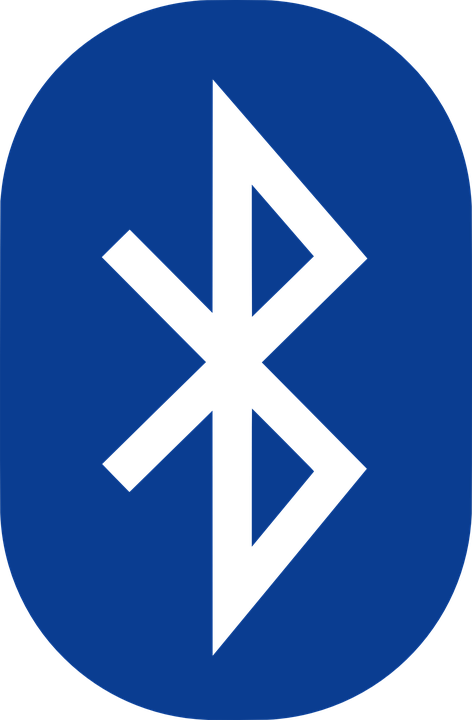 Bluetooth headsets have been around since the advent of Bluetooth and wireless technology, while Bluetooth motorcycle helmets are a more recent development. Bluetooth motorcycle helmets are more like bluetooth helmet speakers having built-in devices that include speakers, a microphone, and a receiver to connect with other devices. Bluetooth headsets offer similar features but are not attached to the helmet and require self-installation. There are good arguments for using both Bluetooth motorcycle helmets and Bluetooth headsets attached to a motorcycle helmet. Headset prices are often on par with or more expensive than Bluetooth helmets as they require riders to purchase both a helmet and separate Bluetooth-enabled headset. Headsets mostly require self-installation and although it’s not difficult to attach the device to a helmet, many riders do not want the hassle of having to do the job themselves. Bluetooth helmet speakers offer a great all-in-one solution at an affordable price and definitely have the upper hand in terms of budget. The full face motorcycle helmets with Bluetooth come with built-in speakers and microphones and provide a comfortable solution to dealing with headsets and the many wires that come with them. The extra benefit of having a Bluetooth helmet is the ease at which you can shuffle songs, answer calls without having to take off your gloves. When wearing wired headsets with your helmet you'll notice that your helmet tends to apply pressure to your earphones. It may not be much at first, but after a while in the seat the pressure builds up to an unbearable level. Riders can now install a Bluetooth headset onto their favorite helmet instead of having to purchase a new helmet that needs to be worn in. The Bluetooth headsets do get some merit as they can be removed from a helmet and installed onto another one without much difficulty – a feature that certainly isn’t possible with a Bluetooth helmet, which somewhat impacts the flexibility of switching between helmets. Bluetooth headsets can usually be attached to any brand of motorcycle helmets, offering a more tailored experience to riders. Both Bluetooth motorcycle helmets and Bluetooth headsets can be well utilized as wireless devices that assist in functions such as answering phone calls, using GPS, and communication with other riders when you are out on the road. Similarly, both carry disadvantages as discussed above. Bluetooth helmets do not necessarily require specific skills or prerequisites for use. 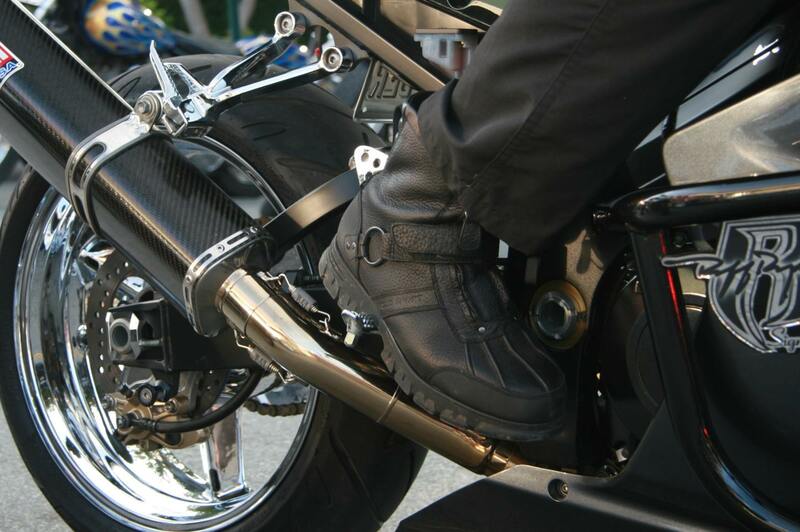 It is, however, always important that Bluetooth motorcycle helmets – and all helmets, for that matter – are in accordance with safety measures and guidelines related to motorcycle gear. 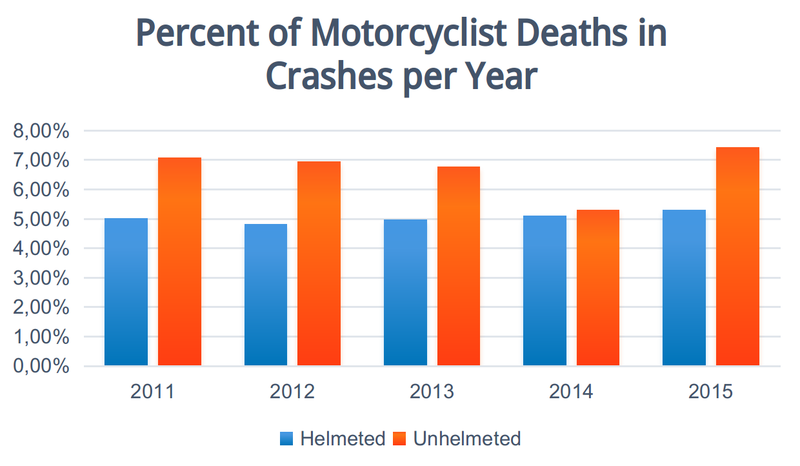 The DOT helmet standards must be met as a legal requirement for helmets to be sold in the US. DOT-labelled helmets have been tested for compliance and ensure higher quality standards. It is essential that motorcycle riders select the appropriate size helmet for their head shape and size. 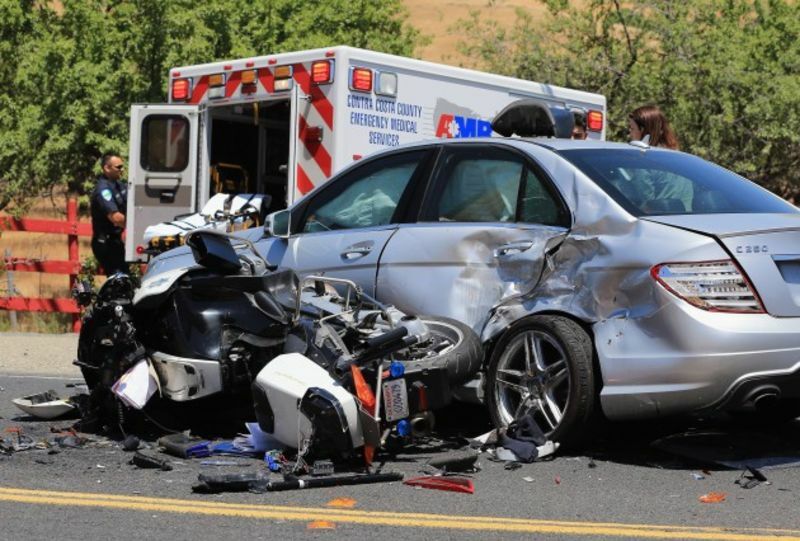 Helmets are designed to offer protection and as such, helmets should fit snuggly – too big will cause the helmet to pop off in a collision, while too small could make it difficult to breathe. The video below offers great insight into selecting the correct size and shape of helmet for your specific needs. Although Bluetooth motorcycle helmets are useful and offer desirable advantages, it can be difficult for a new rider to balance the level of interactivity required by the helmet with the stress of riding between cars and traffic, or riding in unfavorable weather conditions. It is essential for novice riders to focus on everything around them as they become more familiar with riding a motorcycle on the road. 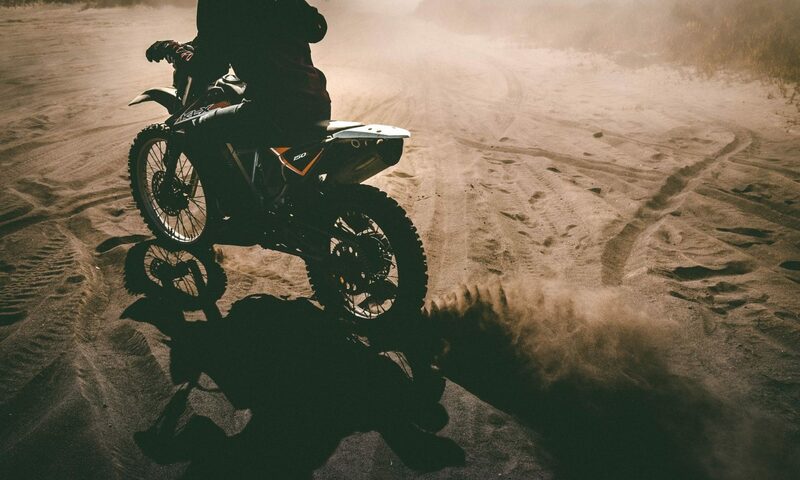 It is suggested that newer riders who wish to make use of a Bluetooth helmet mute options or turn off music until they are better acquainted with everyday riding conditions. Even the best Bluetooth motorcycle helmet can't keep you safe from a 10 ten ton truck. Everyone starts off as a beginner and safety matters - don’t be ashamed to take it slow. Before you know it, you’ll be cruising along and chatting with your fellow bikers as you go. Having discussed the distinguishing features and advantages of Bluetooth motorcycle helmets above, it’s about time we get down to the best Bluetooth motorcycle helmets on the market. We’ve chosen the top 5 Bluetooth motorcycle helmets and did your homework for you – read on to find out more about the pros and cons of each! If you’re the type who hates sending things back to the manufacturer to get fixed, the ILM Bluetooth helmet was made for you. This is one of the only helmets with a replaceable battery and charger, making it easy to do repairs without having to send the helmet in every time something happens. When you buy the helmet, it comes with a bluetooth receiver that's connected with a battery, all you have to do is open the click open the back panel of the helmet and plug in the receiver and you're good to go. Although the battery does have to be charged, the receiver never has to come out of the helmet as it has a built in charging port. The controls of the ILM are very simple and a single touch allows you to appreciate the seamless transition between calls, music and GPS. The ILM has twin speakers on both sides of the interior. This coupled with the weather resistant wind- and noise-proof ventilation means the bluetooth motorcycle helmet speakers sound quality is excellent. The battery has 8 hours of talk time and 110 hours standby. The battery life is particularly good on the FreedConn, with up to 12 hours talk time on the phone and 9 hours on intercom; 120 hours on standby. The FreedConn offers Bluetooth 3.0 technology with a good range and has great compatibility with all devices including cell phones, music players and GPS systems. It offers 500m range over intercom and great audio quality at high speeds, making it easy to communicate with other riders. If you are looking for a modular helmet with bluetooth the FreedConn offers a modular flip up design which of course means the entire face section can literally flip up, making it easier to put the helmet on and take it off. There is one annoying unmentioned 'feature' of the helmet which is to automatically answers calls after 15 seconds with no option to reject calls – a call from an unknown number might just mean that you’re stuck talking to a telesales rep while trying to enjoy your Sunday cruise! It offers a great balance with sound quality that doesn’t cancel all noise so you can still hear traffic, road noise, and the beautiful roar of your bike. The TORC helmet is a promising option for regular riders who love to hit the road for hours on end. The helmet has a practical retractable sun visor and a laser-contoured comfort liner that offers a snug fit. The strong polycarbonate shell and exceptional ventilation system are gracefully concealed under stylish designs so you don’t have to trade comfort for style with the TORC helmet - I also found the chin skirt to be really comfortable to wear even on those long rides, along with great ventilation – (hello, fresh air!) and the visor offer plenty of room for people who wear glasses. 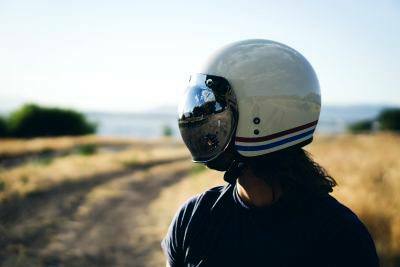 Consider this helmet the ultimate sidekick on the long road to everywhere. This helmet would be a good choice for riders who want to use a product straight out of the box with ease – think of it as the hassle-free Hawk helmet. This beauty from Hawk Helmets has a shell made from ABS thermoplastic materials and the helmet is complete with waterproof and glove-friendly controls – remember that one time you floundered around on the road trying to remove your glove to answer a call? Also, the dual visor system is a great feature for riders where visibility is crucial. The main anti-scratch visor and a retractable sun visor, makes life convenient for easy commutes and sun protection in daytime. The TORC T14B helmet really feels like a good quality helmet, although the many modular units have do not have the same quality feel as the interior and bluetooth system. Another great Bluetooth helmet from TORC, this model offers a remarkable range of sizes in comparison with other available brands and models. This helmet is not intimidated by small, large or in-between head sizes so if that’s you, the TORC might just be your new best friend. The TORC T14B is equipped with a handy sun visor that is sure to make the daily commute much easier – if only it could remove traffic as well! This helmet is available with a 1 year manufacturer warranty and good customer service. Additionally the battery life is good with up to 12 hours talk time. Some drawbacks to this helmet are the wind noise is a bit loud, making it difficult to have high-quality audio for calls at high speeds. Also, the volume limit on the system is low, making the helmet a solid choice for regular phone calls and navigation purposes but not optimal for listening to music. Audio quality and volume limit is not the best. Especially at high speeds. The controls are easy to use with a functional one-touch button for listening to music, adjusting volume, and answering phone calls. The battery life is impressive and a major perk is being able to replace the battery and charger without having to send the helmet back to the manufacturer for repairs. The only drawback to this helmet is some fogging in hot weather, but this is easily negated by opening the chin and top vents to increase ventilation. In short, this helmet is a great fit for riders who are looking for a durable helmet and stable connectivity while they are out on the open road. This makes it the best Bluetooth motorcycle helmet. Buying the best bluetooth motorcycle helmet is no small feat but armed with good information, a short list of your requirements for the perfect helmet, and some thorough research, you’ll be connected in no time – and telling your friends all about it as you ride!